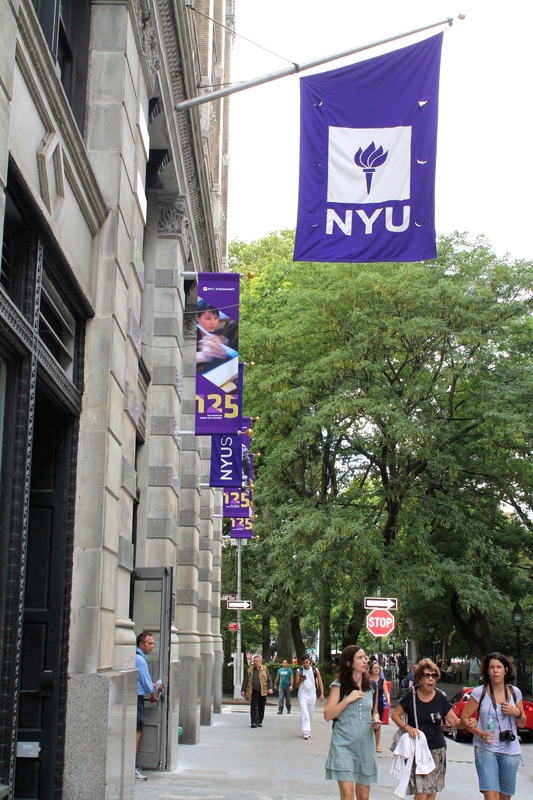 A day of walking in NYC – part 2! I then headed over to the Empire State Building which felt like a very long way away in the heat! I only saw it from the outside but in all honesty, for me it was one of those things where I simply wanted to be able to say that I had seen it. Sadly there were no gigantic gorillas climbing it, but it was still incredibly impressive! Standing on the street looking up at its 102 stories, it’s not difficult to believe that it was the tallest building in the world for nearly 40 years! 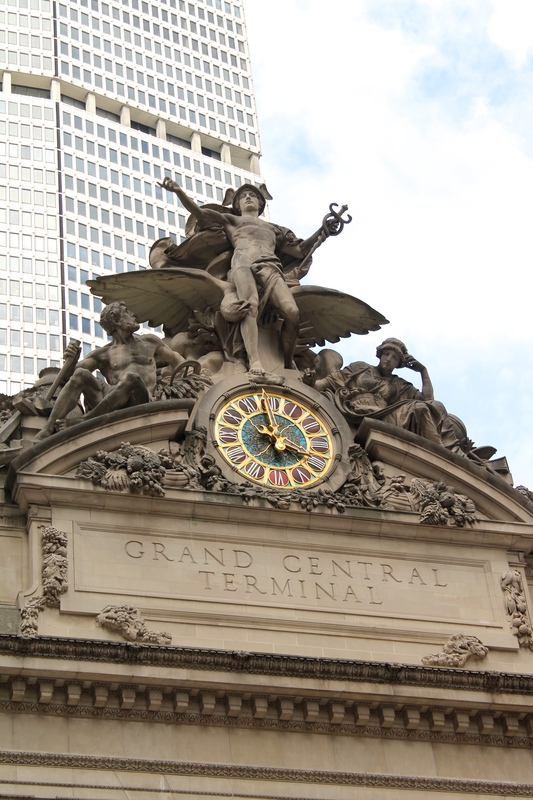 From there I headed over to Grand Central Station, another site which I wanted to tick off my New York bucket list. Built over 100 years ago in 1913 I have to say that I thought the building was quite attractive. With high ceilings and chandeliers it’s easy to imagine it in the days when rail-travel was the height of fashion. I was quite surprised by the decorative ceiling, which shows an intricate map of the stars. The view is referred to as a ‘god’s-eye view’ which means the image is seen from the point of view of a deity – if the artist assumes they have the knowledge only god would have. Sadly my photos of the ceiling didn’t come out very well, but even if they had I definitely think that’s it’s something that everyone should go and see for themselves. Next stop? New York Public Library! I have to admit that I love libraries. I was that child that would get the maximum number of books out on the first day of the summer holiday, and then would try and read as many as I possibly could over the next couple of months. My love of reading hasn’t faded, although perhaps the quantity i’m able to get through has! The New York Public Library was founded in 1895 and is the largest public library system in the entire country. It’s a beautiful building, although perhaps its best known attraction for tourists are the two marble lions which guard its entrance. The lions have had a number of nick-names over the years, but are best known as ‘Patience’ and ‘Fortitude’. The names were given to them in the 1930s by Mayor Fiorello LaGuardia, after the qualities he believed the citizens of New York needed to be able to survive the economic depression. My day of walking finished with a visit to the Rockefeller Centre. Built during the Great Depression in the 1930s it was the first project that combined offices with areas for entertainment and retail. It’s also famous for the 360-degree view which can be seen from the tri-level observation deck of the ‘Top of the Rock’. The views from up there are meant to be absolutely stunning and it is definitely somewhere I want to do another time I’m in New York! Outside the Rockefeller centre there are around 200 flags arranged around a square. These represent the countries which belong to the United Nations. Being the geek that I am I have to admit that I had a walk around and tried to identify as many flags as I could (the number was sadly very small). I have to admit that whilst of course it does have an important reason behind it, I also felt that this display brought a nice bit of colour to the area. My last confession for this post is the fact that one of my favourite parts of the day was as I was walking back to my hotel. I stumbled across a jazz group playing on a street corner and stayed there listening to them for a while. Without sounding too soppy or corny, I felt like they sort of symbolised New York for me. Most of the time I have no idea where I am or where i’m going, but suddenly without realising it, in the middle of all this noise and chaos I stumble across something truly incredible! Posted on August 23, 2015 August 24, 2015 Categories AmericaLeave a comment on A day of walking in NYC – part 2! 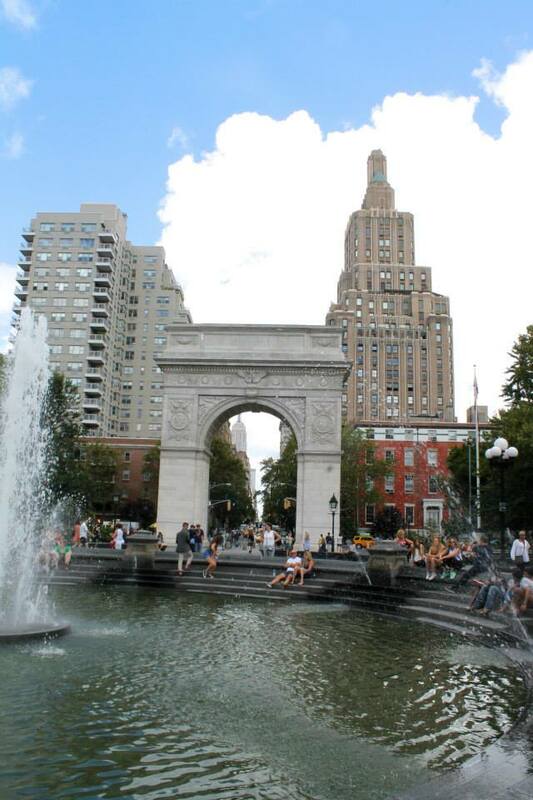 A day of walking in NYC – part 1! I started my first full day in NYC by tagging along with the family I was staying with. We began by going for breakfast at a diner in the meatpacking district, a neighbourhood in Manhattan which unsurprisingly, got its name from the fact that by 1900 it was home to over 250 slaughterhouses and packing plants. 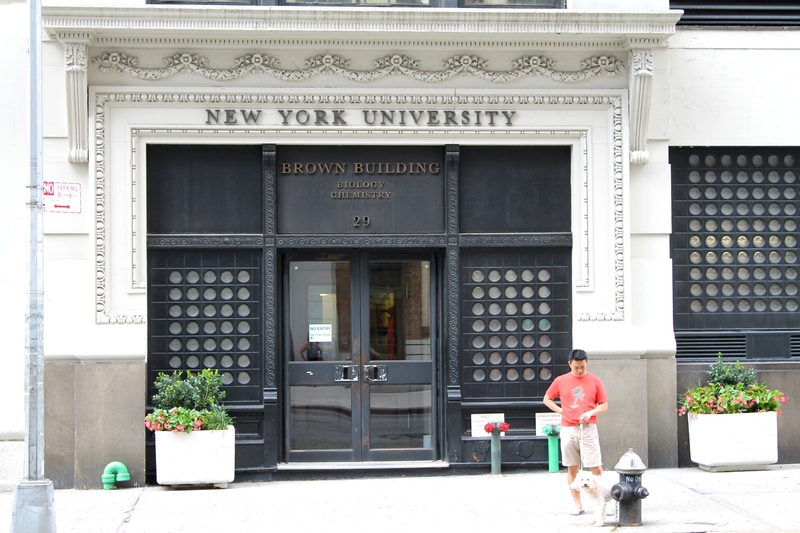 We then went to go see the Brown Building, which is now part of New York University. The reason this building is significant is because on March 25th 1911 it was the location of a fire that killed 146 people – the deadliest industrial disaster in the history of New York. The majority of the victims were immigrants of Jewish or Italian descent who were working as garment workers. Many were young women, with the youngest fatality recorded to be just 14 years old. One of the reasons the fire was so deadly was because the owners had locked the exits and stairs (apparently a common practice in those days). The fire resulted in legislation which required factory safety standards to be improved, and it also contributed to the growth of the International Ladies’ Garment Workers’ Union. Despite the sad history of the building it was interesting to go see it. I like to find out the history of places and I think that it’s important to remember tragedies like this so that we can understand where our progress stemmed from. Whilst a plaque is the only visual commemoration to the individuals who died, I would still recommend paying a visit to the building if you are in the area. Anyway, on to happier things! The Brown building is just off Washington Square park, so I had a little wander around there. It was a nice area with some different views of the city and lots of places to sit in the sun or have a rest. 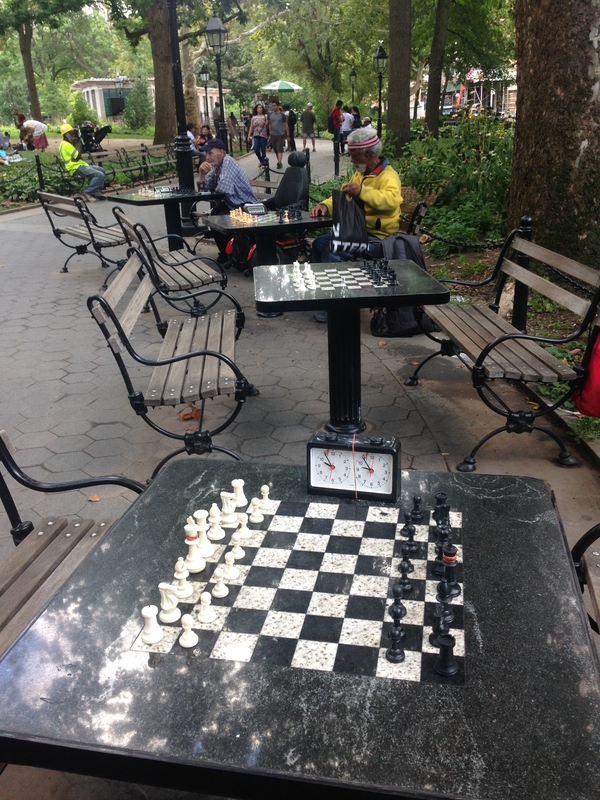 There were tables for people to play chess (which in all honestly I had thought only happened in movies) and even areas specifically designated for dogs which, as a dog owner, I think is a really good idea. From there, I decided to go to the High Line. This is a 1.45 mile stretch of abandoned railway, elevated 30ft off street level. The railway was used from 1934 – 1980, but was reopened to the public in 2009 as a strip of parkland within the city. I’m personally really glad that I visited. I walked the length of the line and it was gorgeous. The quiet greenery is in sharp contrast to the busy streets below, and the skyscrapers above. There are walls of art and sculptures along the rails, and even an area where visitors can create their own fantasy city out of white lego bricks! There are numerous benches and seats to rest on, and lots of stalls selling refreshments, which means that it’s a great place to have lunch, whether you’re buying or taking you’re own food to have a picnic. I love that the residents of New York came together to make something new and beautiful out of the old, instead of simply abandoning it forever, and I think that it’s something that everyone should go and see if they have the chance. Here’s the website address if you would like to learn more about the highline! Posted on August 23, 2015 August 24, 2015 Categories AmericaLeave a comment on A day of walking in NYC – part 1! Now, as well as being a self-confessed history geek, I am also a self-confessed musical geek. It seemed obvious therefore, that I had to go and see a broadway show whilst I was in New York! 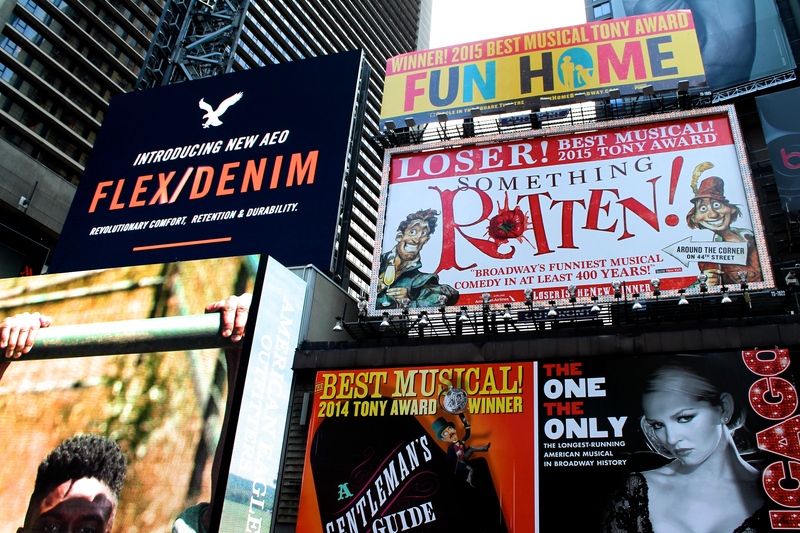 In Times Square it’s possible to buy discounted tickets to go and see a variety of shows – which is possibly as exciting for me as every Christmas and birthday i’ve ever had rolled into one! These billboard type things (no idea what they’re actually called – sorry!) tell you what percentage of the original price each ticket is being sold for. I suppose it’s then up to you to decide whether you want to go see a particular show no matter what the price, or whether you make your decision based on which ticket is cheaper. The show was, of course, spectacular. I’ve seen a lot of musicals over the years at the West End in London, but this definitely ranks up there with my favourites. There were a couple of small details that annoyed me (like the child actors still having american accents) but these were honestly me just being a complete perfectionist and probably wouldn’t be noticed by anybody else. Whilst I wouldn’t describe the ticket as cheap it was 100% worth the money and I am indescribably happy that I have finally managed to do this! From New Jersey I travelled to New York City! I have to admit, it was only this summer that I learnt that New York is, in fact, NOT the capital of New York State. One of the girls from Camp goes to college in Albany (the actual capital of New York state) and she informed me of my mistake. Apparently a lot of Americans are also unaware of this fact, which made me feel a little bit better about my ignorance up to this point! Once again I’m sofa surfing with friends. Although, perhaps that’s not quite the right way to describe it since I’m staying in a four star hotel at the moment. Believe me when I say, this is not the kind of place that I would be staying if I was paying for it myself, so i’m trying to enjoy it as much as I can whilst it lasts. The great thing about the hotel is that it’s located only a half hour walk from Penn station. As soon as I dropped my bag off I decided to go out and explore around Times Square, only nine blocks away from the hotel. 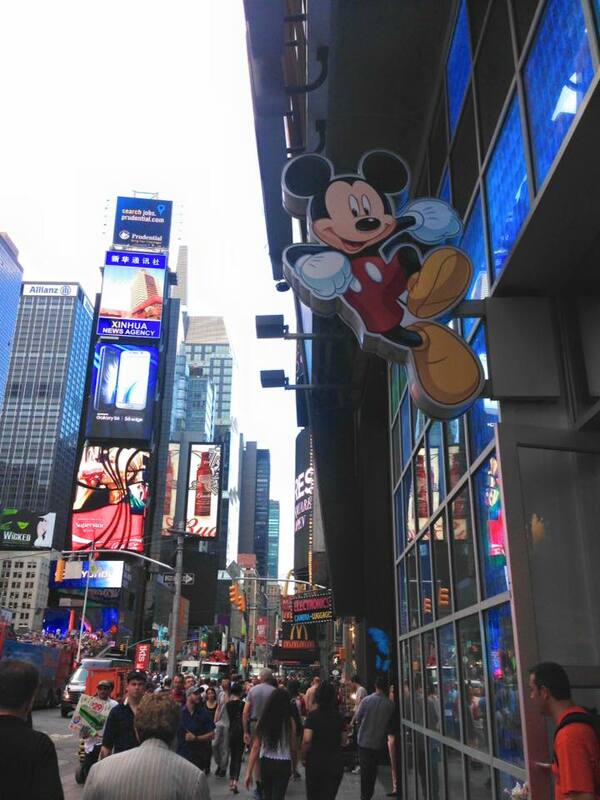 I did, of course, go into the most important shop on Times Square – DISNEY! Because honestly, i’m a child in an adults body. 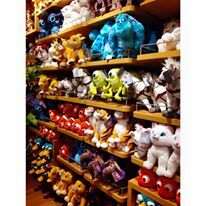 An adult who was kind of upset that there were no dresses in her size, and that she couldn’t buy any of the stuffed animals because I have no room in my suitcase (it will simply have to wait until another time)! Whilst I’m sure that the area has become increasingly ‘disneyfied’ over time, it is no less impressive. The gigantic, flashing billboards are always the first thing that comes to mind when I think of Times Square, and they certainly did not disappoint. The seemingly never ending crowds of people, the flashing signs and colours and the background of cabs and people is exactly how I had imagined New York. In short, Times Square did not disappoint! It’s very obvious to me why Times Square is near the top of every ‘must see’ list for New York, and it certainly has a place up there in mine as well! Posted on August 21, 2015 August 24, 2015 Categories AmericaLeave a comment on Let New York Begin! A new day, a new state! 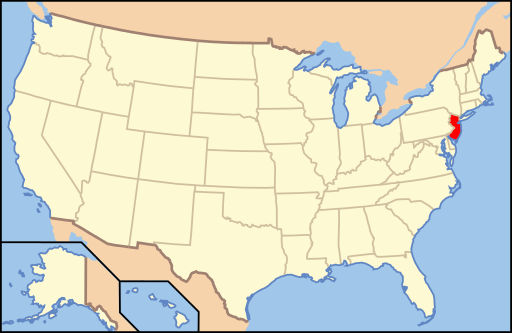 His family live in a town called Randolph, which is in Morris County New Jersey. It was a real pretty area and whilst I was there the weather was absolutely beautiful. 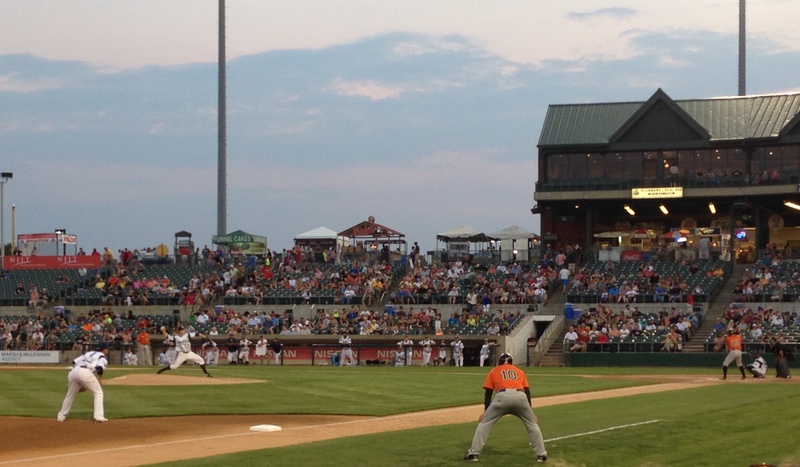 They took me to my first baseball game, which was to see the Somerset Patriots. It was actually Star Wars night there (I have no idea why) which meant that sometimes you would turn and see someone dressed up as obi-wan or a Stormtrooper which was quite amusing. As the rules were explained to me I guess most of my comparisons were made to rounders (a sport traditionally played in England by girls, which seems to have some similarities). It was great to see a traditional American sport (even if my interest did begin to waver during the second hour of the game). It also means that I can take something else off my American bucket list! Posted on August 21, 2015 August 24, 2015 Categories AmericaLeave a comment on A new day, a new state! Camp has now officially ended and so my real travels can finally begin! Whilst at camp I decided to go on a trip with a company, instead of organising everything myself. I decided this partly because it meant that I could see a number of places in the US (even if only very briefly), and the fact that it means that I don’t have to worry about organising how I’m going to get to places and where i’m going to sleep each night. The company i’m going with is called Trek America, the website is below if you’d like to have a look. I decided on the trek called ‘Atlantic BLT’ which goes to nine different places in 13 days. This suited my time frame, and also you you sleep in hostels and hotels on this trip instead of camping, which I have to admit I don’t enjoy doing for more than a couple of nights at a time. The only slight problem was that the tour closest to the end of camp was fully booked, meaning that I had to keep myself busy for about a week before the tour started. Of course, this isn’t a problem with New York City so close by! Well, another day off! I started my day by being taken to my first American diner! I can’t quite believe that I was in America for almost a month before going to one, but at least it’s something else I can take off my American bucket list! 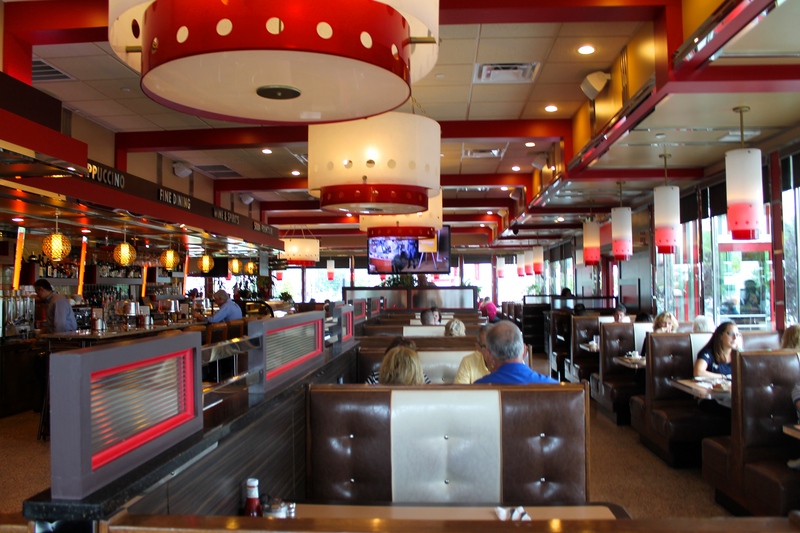 We went to the Red Line Diner, which was a five minute drive away from Lyanne’s house in Fishkill. Once again I can’t really compare it to anywhere else yet, but I thought that it was a fab place to eat. It was exactly how I imagined a diner to be since it certainly seemed to fit the stereotype given off by movies! For breakfast I had three chocolate chip pancakes with strawberries. I must confess that perhaps my eyes were a little bit larger than my stomach on this occasion. I managed to finish two of the pancakes, although I couldn’t even manage to make a start on the third one I was so full. The pancakes were good, although I have to admit that they weren’t the most delicious that I’ve ever eaten in my life. I would definitely go back to this diner though. It was a nice place to eat, the service was quick, the staff friendly, and the food was good enough that I want to have a second helping! Posted on August 6, 2015 August 24, 2015 Categories AmericaLeave a comment on My first diner!